We moved into our dream house on the 18th December 1998. 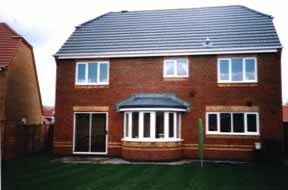 We bought this house from David Wilson Homes. 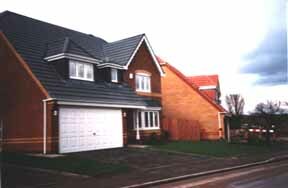 It is a four bedroomed house with a double garage. Since the first picture was taken we now have lots of lovely plants in the garden. Try clicking on a window for a look inside. You can also look in the garden. One day it rained.